Blogs that I love reading! Before I put up some of my own writing, I thought I would share with you some of my favourite blogs, where I get inspiration and encouragement from in regards to living a connected, intentional and mindful life. If you’ve been following my Facebook page you will recognise these blogs as I’m often sharing their goodness. Grab a coffee (or yummy T2 Tea, Lamington is my favourite!) and check out some of my fav! Becoming Minimalist is No. 1 on my list. It is a blog encouraging people to be intentional about living with less, not nothing, just less than what you currently have and finding more life because of it. Their weekend emails are full of articles from around the web encouraging and inspiring simplicity. I love Joshua Becker’s enthusiasm, joyfulness and huge encouragement of building up other people. Even if you don’t want to reduce what you have in your house, this blog will encourage and inspire you to be grateful! Slow Your Home is a beautiful Aussie Mum, Brook McAlary, sharing with over 2 million people, her ongoing journey of Slowing down her Home and embracing more life because of it. She has an excellent Podcast which is also worthy of your listening ears! She is full of encouragement and inspiration. Finding Joy was a HUGE encouragement to me when my kids were younger and my days were darker and felt longer! I know that not all of you are mums but if you know a Mum with young ones than totally recommend this to her! It’s not just for Mums of young ones, Rachel has many kids of varying ages and her blog is filled with beautiful photos of them and her home. It is a beautiful encouraging blog! Mark and Angel’s Hack Life is another inspiring blog full of articles that meet their goal ‘to help YOU think better, feel better, and live better’. They are professional coaches and are so full of uplifting and encouraging perspective on a wholistic life! Be More with Less is another blog full of encouragement and inspiration for reducing the amount of stuff in your home. Courtney Carver has so much goodness oozing out of her blogs and is always pointing us to intentional and mindful practices. I know these blogs are stacked to the minimalist variety, but being a Professional Organiser, that is my bent and I think that everyone can learn from others, even if we don’t necessarily want to follow their lifestyle choices. 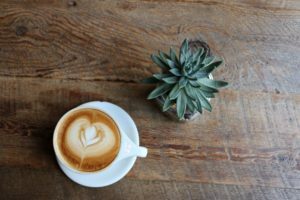 So there is just 5 of my favourite blogs, like with most things, there is so much goodness out there to be consumed but even with my reading I try to thoughtful and intentional in what I consume and I want to encourage that in you. So sure go check out the blogs but if they don’t resonate with you then please don’t sign up for their emails or like them on Facebook, otherwise, that will be one more thing that you will need to declutter in the future! Thanks so much! Osmosis will work yet, for both of us, because there is so much I need to learn from you. Clutter is not like Art, it doesn’t increase in value the longer you own it! Kirsty Farrugia on Blogs that I love reading! Karen on Blogs that I love reading!